We provide Northern Utah Trees and Transplanting Services. With over 40 years of arboreal experience we’re one of the most experienced crews in Utah. Willowcreek Tree Farms specializes in growing our own trees: Pinyon Pine, Colorado Blue Spruce, Bristlecone Pine, and Austrian Pine. We also do have other trees that are available upon request if you want some deciduous trees. Besides growing our own trees we’re expert transplanters and tree movers. 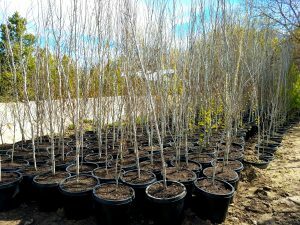 Tree moving and transplanting are great alternatives to purchasing a brand new tree as it’s normally less expensive and can have a better survivability rate. We also do large-scale landscaping. Because of the nature of our business we have a lot of large earth-moving equipment and can do really good, large-scale landscaping. If you do have a smaller job that you need done we can connect you with some of the companies we recommend.